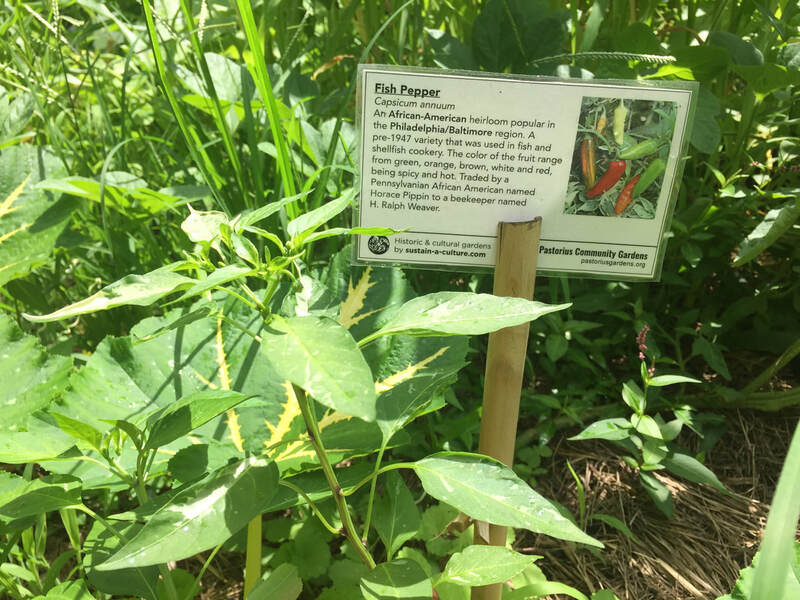 Fair-Amount Food Forest is a collaborative initiative to create an educational and community-driven public food forest in Fairmount Park. We can advance public environmental education through teaching and demonstration of food and herbal medicine cultivation, rainwater collection, stormwater management, organic waste management, pollinator and wildlife habitat rehabilitation, and landscape maintenance in a way that is accessible to all through hands-on volunteer opportunities, school and public tours, youth programming, classes, signage, and the project’s presence in Fairmount Park. This can be a source of food, improved nutrition, mental well being, and community gathering. 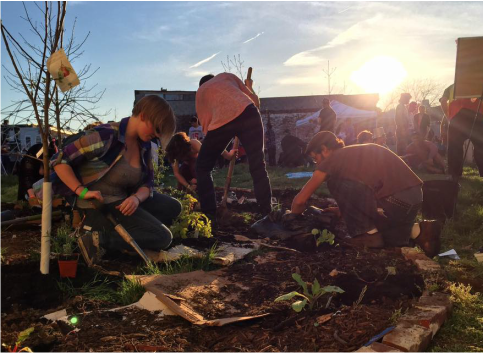 As a volunteer-powered community resource, the space would be free and open to harvest from. 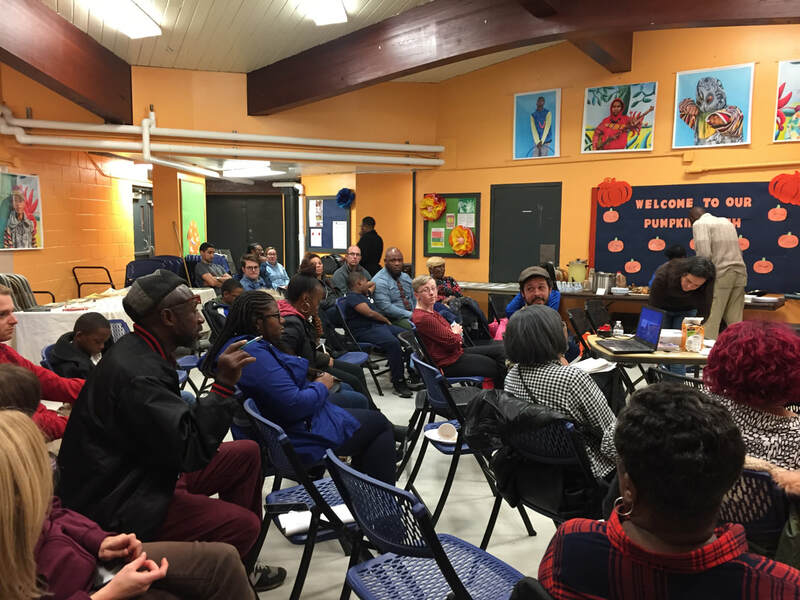 Strong community connections are fostered through monthly work parties, weekly shared harvests, and seasonal celebrations. We can do more for ourselves and each other together than we can apart, and we’d like to create this with you. Urban farm management and education with grade and high school children. 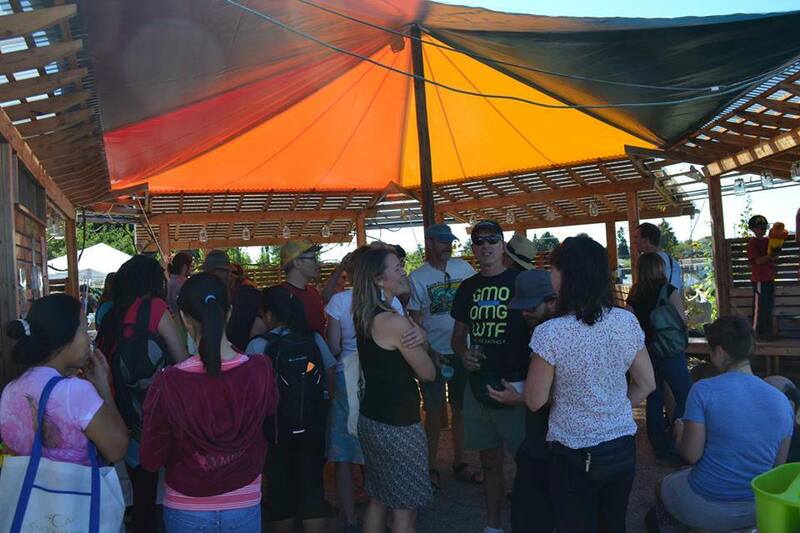 Youth employment through an urban farm and Saturday Markets. 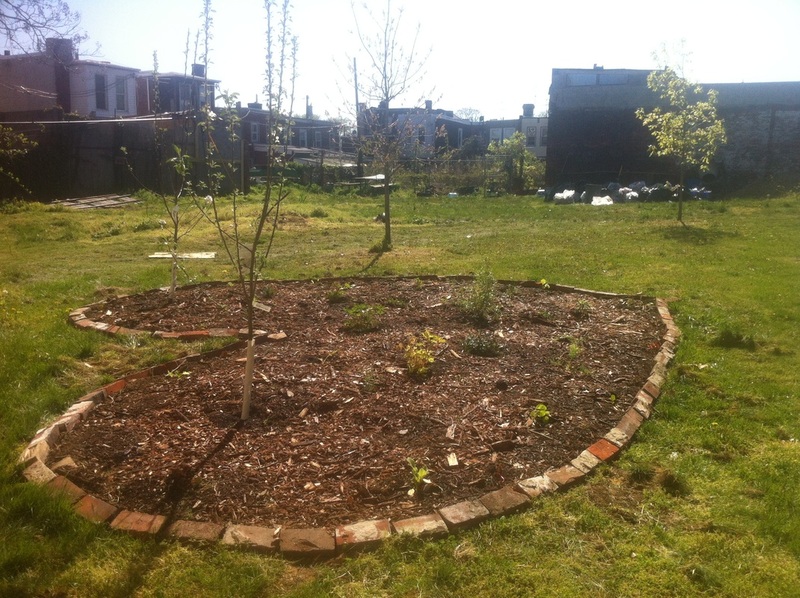 Workshop Series and demonstration garden development. Sustain-a-culture is the Historical Garden Coordinator for Pastorius Gardens at the Germantown Mennonite Historic Trust. These gardens have been replicated at Historic Johnson House and Grumblethorpe. 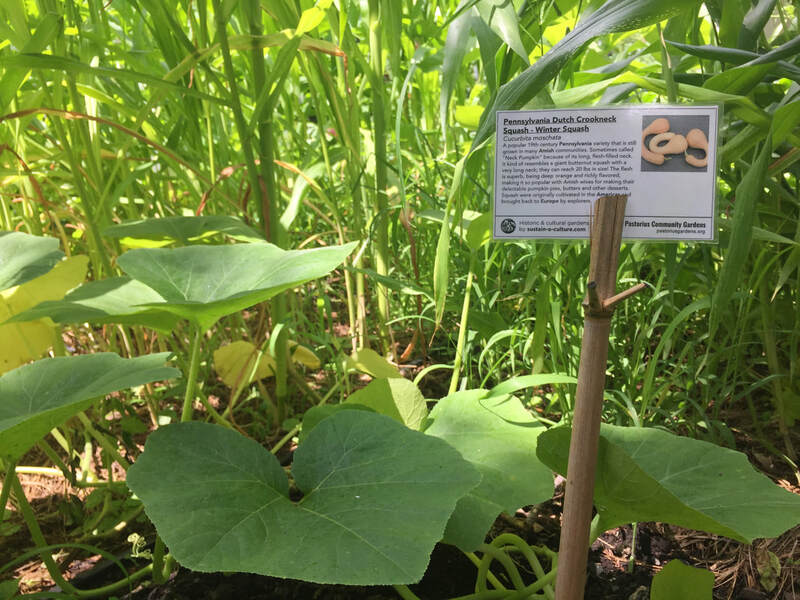 Our educational beds include heirloom vegetables and herbs from Indigenous American, African, African American, and Pennsylvania Dutch cultures, which symbolizes the interwoven histories of these cultures as they are grown together in a three sisters planting, method of the first care takers of this land the Lenape. 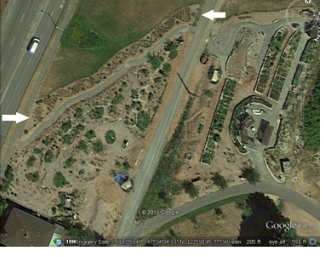 A 3,500 square foot patch at the Beacon Food Forest in Seattle, WA is planted in the shape of a DNA helix, symbolic of many modern issues. 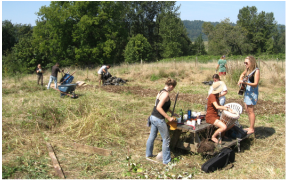 This includes the ownership of genetic material - especially food crops, the diversity of edible plants that exist in the food forest, the diverse ecosystem we strive to co-exist in amongst our agricultural practices, the diverse neighborhood this project works to engage, and the common ancestry, or common thread between us and all life. 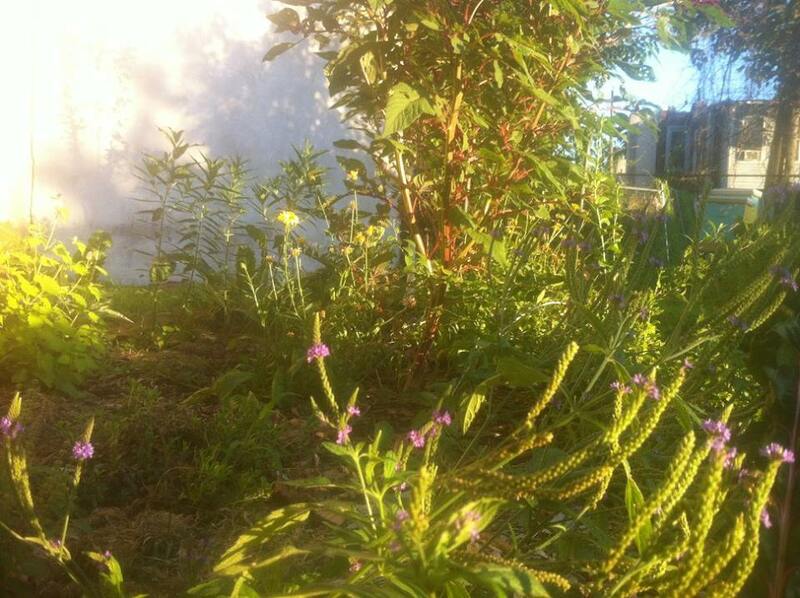 This area is cultivated with mixed vegetables, herbs, and medicinals as an openly harvested area. 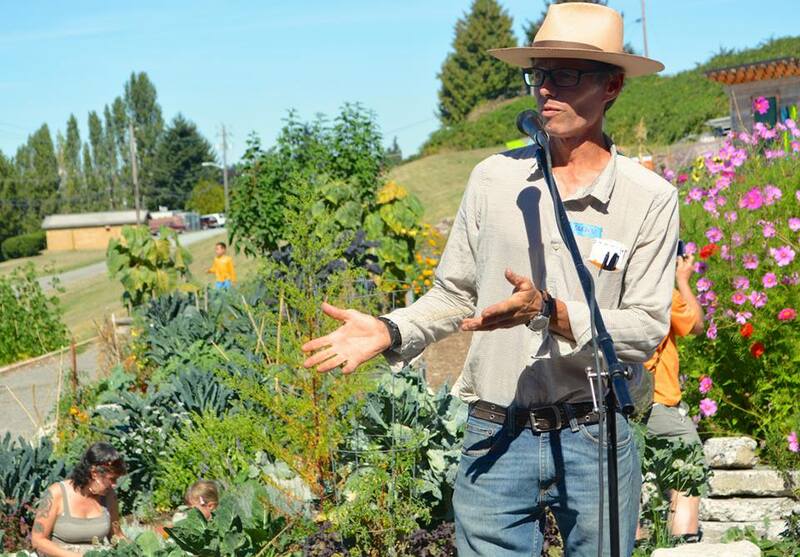 Weekly shared harvest events engage the diverse local community, provides education and conversation about food production, and explores the topic of ethical harvesting from the Beacon Food Forest Project. 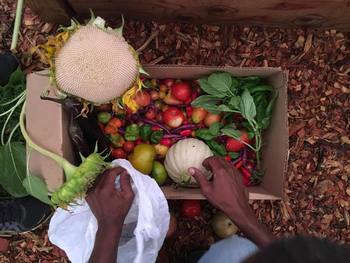 Produce is also used to feed volunteers, while excess is brought to the local food Bank. Side By side 3-bin composting systems with wing lids to be painted with the monarch butterfly. Project includes a retaining wall made from reclaimed materials, complete with built In benches, and is planted with monarch butterfly plants. The Monarch symbolizes our current ecological crisis, the impact of "conventional" agriculture, an insect that all of North America can recognize, and the metamorphosis from one way of life to another. 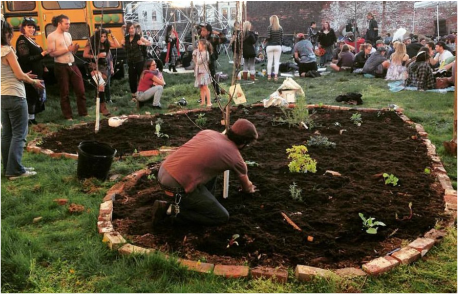 Culminating the completion of Phase 1 at the Beacon Food Forest, a large community effort was made to host a diverse event. 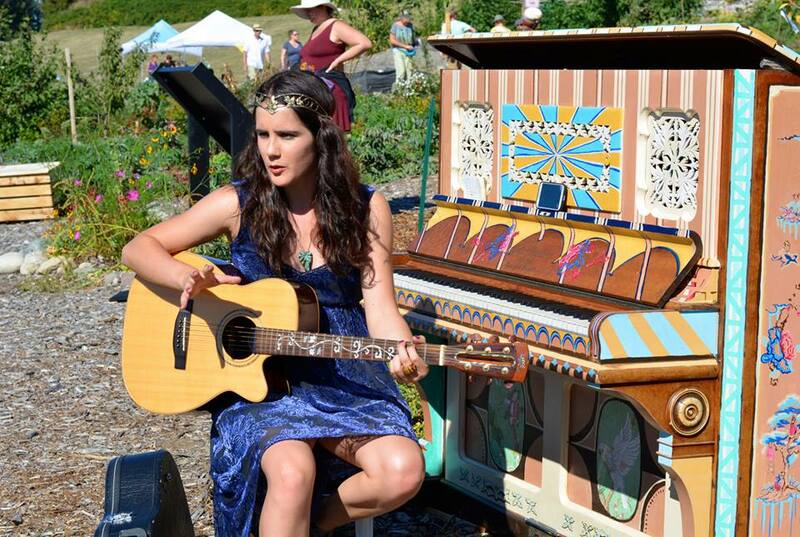 This included regular tours, cooking demonstrations, children's activities, a brewing workshop, local organizations tabling, speeches from project founders and the Department of Neighborhoods, a blessing from Ken Workman - Duwamish descendant of Chief Seattle, live painting and dancing, circus performance, poetry hour, folk music, West African beats, Sundanese Degung, piano's in the park, and a late night DJ. The event was a huge success due to the dedication of the community with orchestration by Michael Muehlbauer and Melissa Lightenberg. The ground has been broken on a new community garden and food forest at the historic Dougherty Farmstead. This site is a community resource for health, recreation, and place of education. Initial ground work has been accomplished with support from Mountains To Sound Greenway, The Wilderness Awareness School, and the local community. Educational efforts will be focused on an array of topics ranging from sustainable food, plant-based medicine, and other useful plant production, conservation and resource management, wilderness observation and tracking, survival skills, and ancestral knowledge. An edible parklet and urban farming demonstration site design, which has gone through the approval process with the Seattle Department of Transportation. Complete with a large see-through ADA accessible raised bed and surrounded by hexagon shaped planter boxes with built in benches. 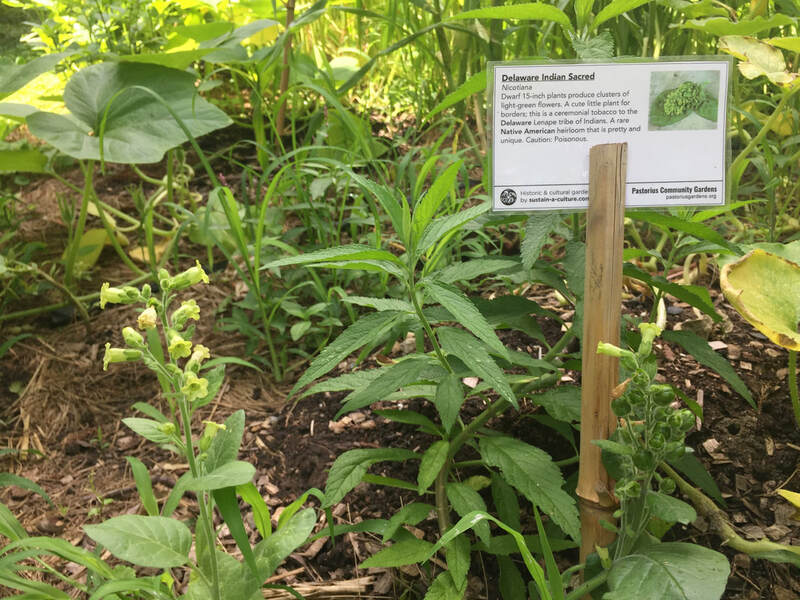 Design includes an edible planting plan that has something ripe for people to eat and something blooming for the bee's to eat at all times of the year. This parklet will serve as a demonstration of urban food production and talking point for a non-profit that focuses on low income families.